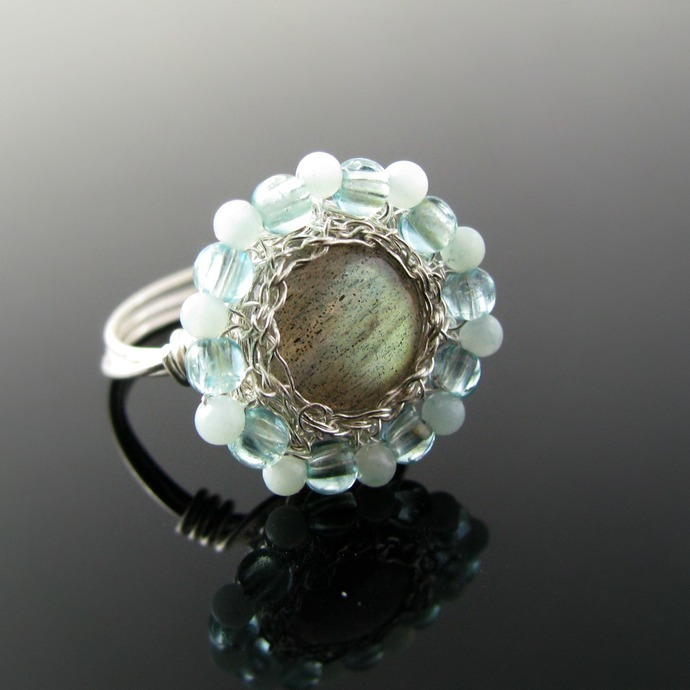 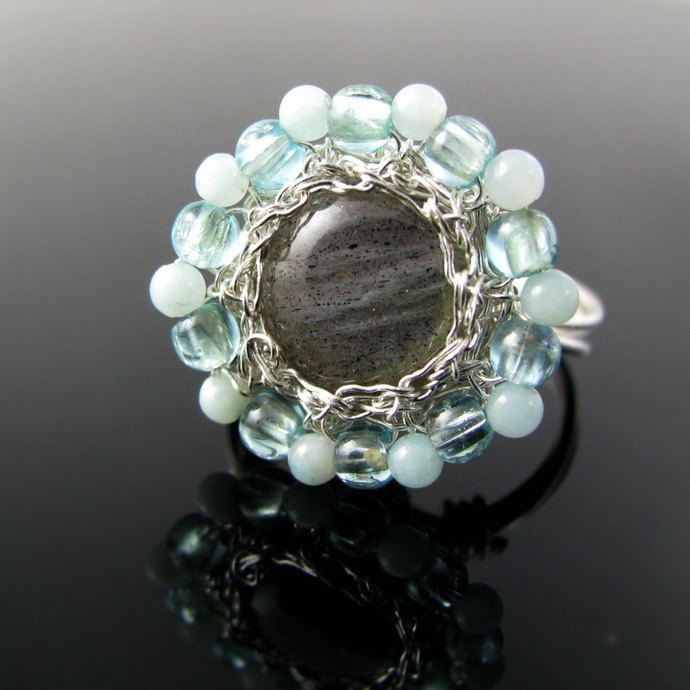 This darling flower ring is made up of shimmering labradorite bead in a setting crocheted from fine silver wire with an edging of tiny apatite and even tinier amazonite beads. 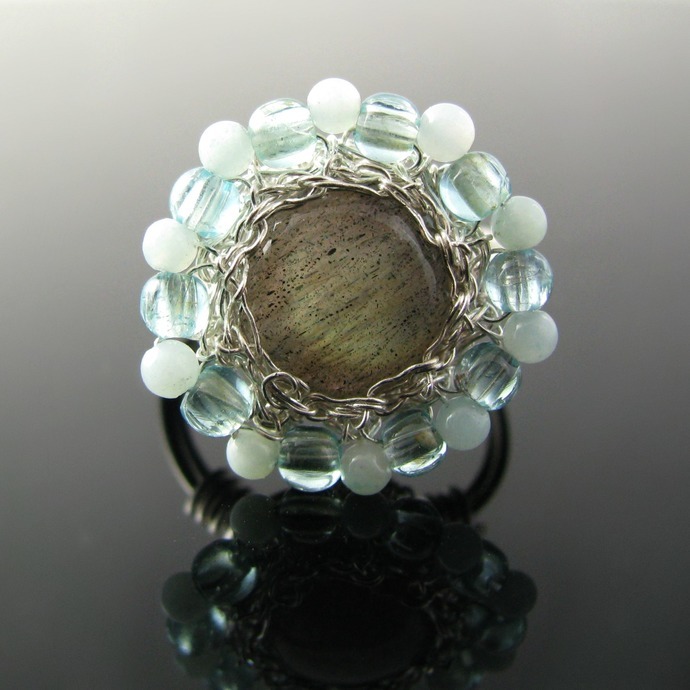 The three strand ring shank is sterling silver wire. 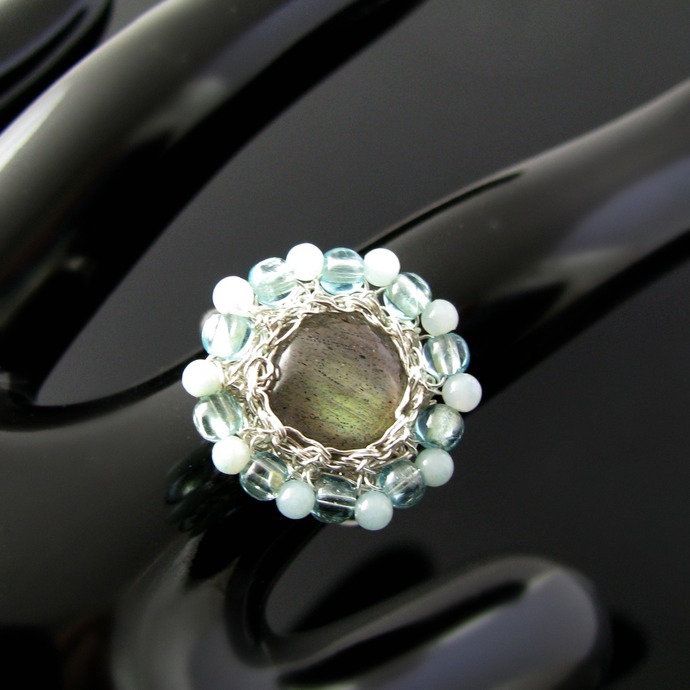 The ring has a size of 17.5 mm or 7 1/2 US and is one of a kind.